Go beyond your limits with these light and resistant squash shoes. They offer you an excellent support while allowing natural movements. 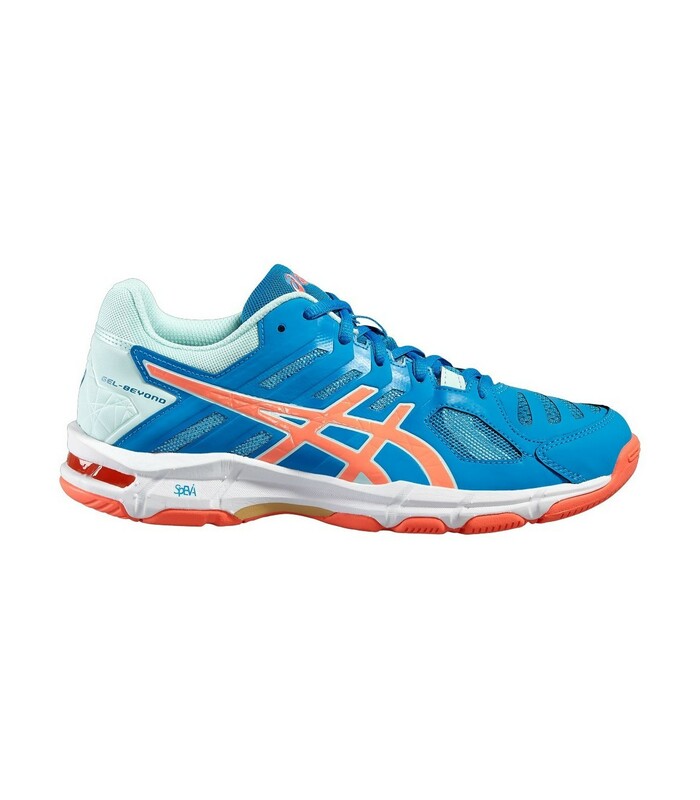 You will not go unnoticed on the squash court with the Asics Gel Beyond 5 squash shoes and their blue, orange and white color. 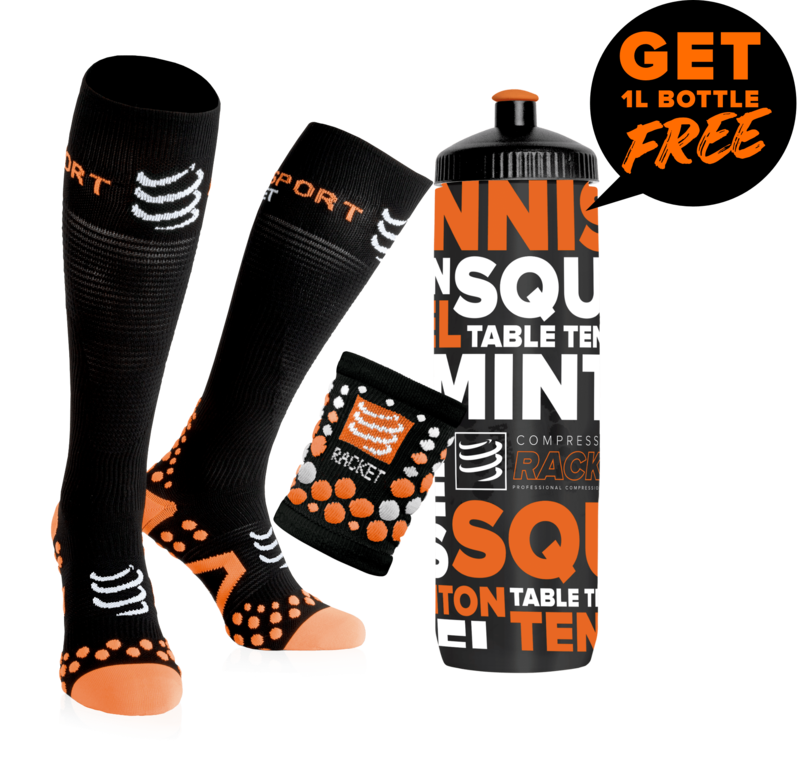 In addition to their dynamic and modern style, these high quality squash shoes also offer you an excellent cushioning and very good grip, which is highly appreciated by squash players. The Asics Gel Beyond 5 squash shoes also offer you a very good support of your foot while allowing natural movements. 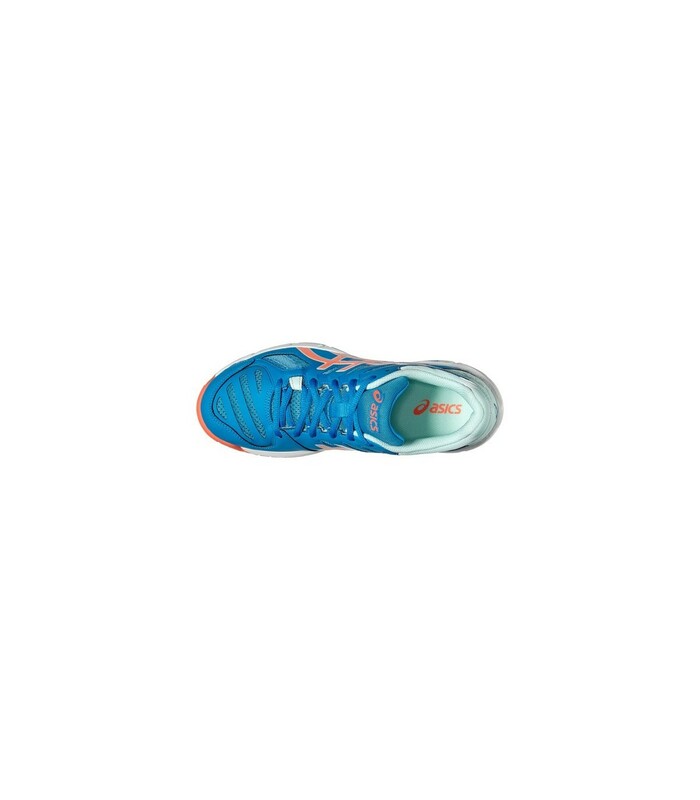 With these technical squash shoes, you can better handle the lateral movements thanks to the stability offered with the technologies and the structure of these squash shoes. 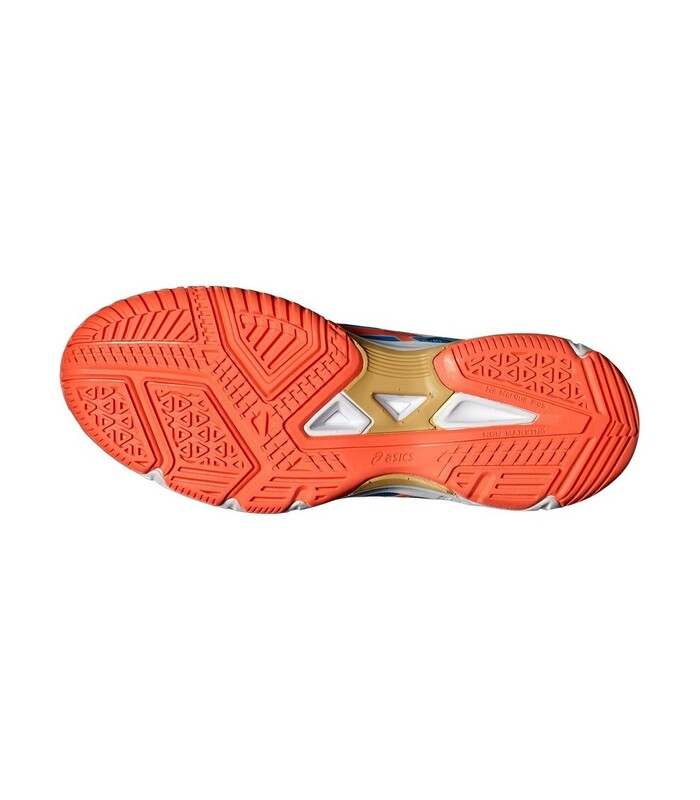 The Asics Gel Beyond 5 squash shoes are so light that you will also increase your agility. Providing an excellent support, comfort, stability, cushioning and grip are the main strengths of the Asics Gel Beyond 5 squash shoes. With these high quality squash shoes, keep your femininity and play with style, thanks to the elegance and design of these shoes.